Linoleum is a practical and fairly affordable flooring. However, it does have a few drawbacks. First, if the floor is cleaned poorly, on the linoleum visible stains, and secondly, various stains from accidentally spilled medicines or other dyes is quite difficult to withdraw from its surface. 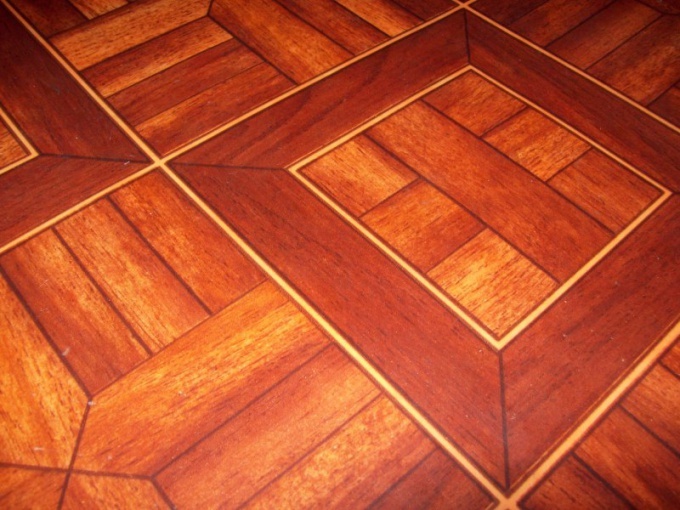 To the flooring that lasts a long time, for it needs careful care. Need dry cleaning linoleum broom or vacuum cleaner before you begin wet cleaning. Wash the linoleum is warm but not hot water with a neutral cleaner. After washing, Polish the coating with a dry soft cloth for the floor. Read the composition used for the care of linoleum tools. He hates soda, alcohol and various acids. Try to apply known folk remedy to add Shine to linoleum. Cool the water in which potatoes are cooked; it must be unsalted. Use it to wipe the floor. Get stains from iodine, coffee, or a children's felt-tip pen with linoleum you will help kerosene, gasoline or turpentine. All these substances are harmful to the coating, so they must be used in minimal quantities, slightly dropping on a soft cloth and gently wiping the stain. Bring back the old linoleum to its former glory using a mixture of water and milk in the ratio 1:1. After the wash make a polished cover special care products sold in stores household chemicals. Remove white residue from linoleum with the help of funds for the destruction of plaque in the bathroom, such as Cif, Silit, etc. you Can gently clean the most soiled powders like Comet or pemolyuks. Simple contamination is removed by simply washing with the addition of funds Mr. Proper, Mr. Muscle etc. If contamination is very strong and not give in to any influences, try to prepare the following composition: mix 200 grams of vodka, a bit of Comet powder and a liter of water. Wipe these composition problem areas, then rinse the floor with clean water. Try not to scratch the linoleum, legs of furniture or other sharp objects, avoid contact with the coating burning cigarettes or matches, put at the entrance to the house mats. Use a vacuum cleaner for cleaning textured linoleum, the pattern of which is clogged with dirt.